Reinventing itself every year, longboarding has created a movement that demands specialized gear. Whether it is downhill or sliding, Triple Eight designs and manufactures the best. Triple Eight designed these longboard gloves with tear resistant Kevlar® fingertips, each comes standard with replaceable PU palm puck, thumb puck, and finger bar. 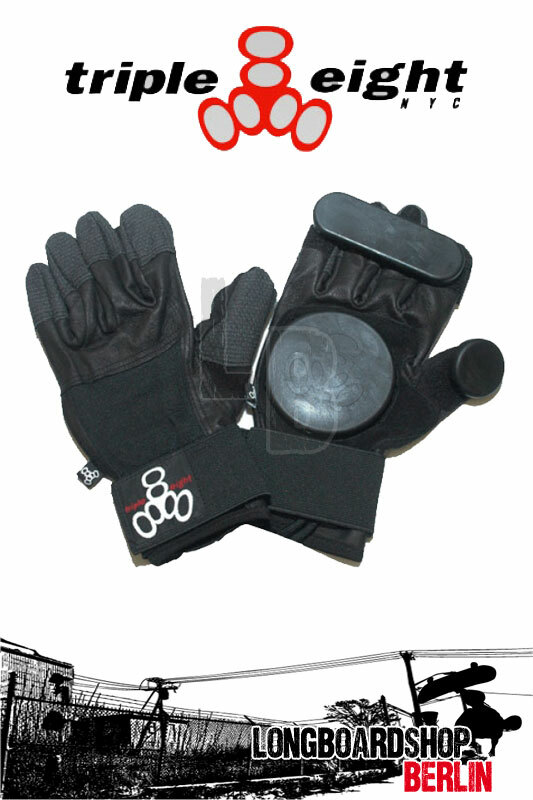 These gloves also come with a heavy-duty, wrap around Velcro® wrist strap to ensure a perfect fit. Our slide gloves offer flexibility to carve your own lines in the concrete waves without the fear of road rash. • Comes Standard with replaceable PU palm puck, thumb puck, and finger bar.